What is amphetamine addiction and how can I get free help? Are you concerned that you or someone close to you has a problem with amphetamines? If so, help is at hand. Continue reading through this guide to learn more about amphetamines, the different types, the effects of both short term and long term use and how you can access immediate help and treatment for amphetamine addiction or amphetamine abuse. As the leading authority on amphetamine addiction rehabs in the UK, Addiction Helper can provide you with immediate help and advice. We are experts on treating amphetamine addiction and can assist you in finding you the correct treatment for your particular problem with this dangerous and devastating drug. We have helped over 10,000 individuals with addiction problems access help and support for their individual problem. We are able to help you access the best amphetamine rehab centres on the UK and around the world. We only work with CQC regulated treatment centres of the highest standard; assuring you of the best possible care in terms of amphetamine treatment and personal safety. Furthermore, we can take care of all the arrangements, relieving you of the stress. Most individuals contact us in times of crisis, we are very supportive and understanding of this and will do all we can to help you or your loved one break free from addiction to amphetamines permanently! Furthermore, we can also advise you on the latest NHS treatments available for amphetamine addiction, self-help groups, the various rehab treatment programmes and both inpatient and outpatient care. Don’t waste another day suffering from the pain and misery of addiction to amphetamines, call or chat to us now, for immediate free and expert confidential help! Amphetamines, as a stimulant drug, speeds up the whole bodies system, hence the most common name of “speed” When it works well, the user feels euphoric, confident, powerful, chatty, awake and alert. They are able to stay awake and alert for long periods of time. What Does the Law Say on Amphetamines? Under the Misuse of Drugs Act, most forms of amphetamine are classified as a Class B drug; it is illegal to possess and supply, sell or give away. Amphetamine that has been prepared to be administered by injection, then becomes a Class A drug, carrying heftier penalties and sentences. Maximum penalties for possession of a Class B amphetamine are up to 5 years imprisonment plus a fine. For supply of amphetamine, sentences can be enforced for up to 14 years imprisonment and a fine. 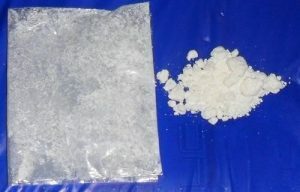 Methamphetamine is a Class A drug and carries larger sentences, especially for those caught with possession or production with intent to supply. Amphetamine is a synthetic drug, which means it is not naturally occurring and therefore man made. Dependent on the chemical formulation of the production or preparation of a particular amphetamine based stimulant, will determine whether it is a Class A or B drug. What Is the History of Amphetamines? As a class of drugs, amphetamines actually started out being prescribed for legitimate medical use in the early part of the 20th century. It wasn’t until the 1960s that these drugs really began to be used recreationally and manufactured in manmade, unregulated illegal laboratories here in the UK. Since then, we have seen a gradual increase in amphetamine misuse to the point of significant abuse and addiction. Amphetamine is now classified as a controlled prescription-only drug, even though that has not always been the case. Possession without prescription is illegal and carries hefty penalties for the individual. Amphetamines were first introduced for medicinal purposes in the 1930s despite having been discovered during the 1800s. The drugs were used for a variety of purposes including asthma control, appetite control, and to relieve hypertension. Use gradually expanded to include them as treatment for seizure-related disorders, migraine headaches and ADHD. What doctors found most appealing about amphetamines are their stimulating effects and the ability for the individual to concentrate. 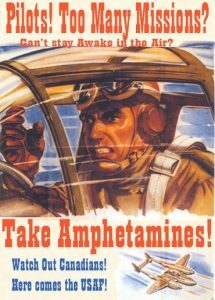 During the Second World War, British military forces were given prescribed amphetamines to relieve battle fatigue, keep them awake and alert for long periods of time and provide increased concentration levels. More than 70 million tablets were dispensed over the course of the war. Unfortunately, one of the unintended consequences of this, was that it led to amphetamine abuse and addiction among some soldiers and eventually created the recreational market of the late 1950s and early 60s. Amphetamines are synthetic stimulants. Their use for medicinal purposes has now been greatly diminished due to their tendency to create addiction, combined with limited efficiency and their detrimental and dangerous side effects. On the streets, amphetamines are generally known as ‘speed’. Derivatives include amphetamine sulphate, Dexedrine, and dexamphetamine. The drugs are popular for recreational use because their effects can last up to six hours, followed by a very slow and gradual withdrawal. They are also easy to take. Amphetamines can be swallowed as pills, snorted, added to drinks, bombed (wrapped in a cigarette paper and swallowed) or prepared and injected directly into the bloodstream. What Are the Signs of Amphetamine Use? The tendency toward antisocial behaviour, including violence. With regular, excessive use of amphetamines comes more specific physical symptoms including headaches, dizziness, nausea, blurred vision, poor coordination, irregular breathing and heartbeat. Regular amphetamine use and abuse takes its toll on the body by directly affecting heart rate, blood pressure and the individual’s immune system. Amphetamine addiction and abuse can also lead to psychological problems including paranoia, psychosis depression and other irreversible mental health illnesses. Most importantly, combining amphetamines with alcohol, other drugs or anti-depressants can be fatal. Overdose may result in coma, seizures, or even death. Relationship breakups and breakdowns, as the addict will put amphetamines above personal responsibilities and consideration towards those closest to them. Amphetamine addiction is a life threatening condition that requires immediate professional help. Call us now or chat to us live if you are concerned about yourself or a loved one. What Are the Treatment Options for Amphetamine Addiction? If you or someone you love is struggling with amphetamines right now, the first step in the treatment process is to assess the seriousness and severity of the problem. Someone in the earliest stages of drug misuse may not yet be addicted but still require medical intervention before it spirals out of control. Those who are addicted absolutely will need immediate professional treatment to get well. There is little available in terms of treatment available on the NHS for amphetamine addiction; at best you can access your local drug and alcohol team for support, but usually the government does not fund inpatient rehab for those addicted to amphetamines. Support groups such as SMART or Narcotics Anonymous are usually the most helpful alternative to inpatient treatment. But you will not be able to access the professional treatment or levels of treatment intensity that you would receive in an addiction treatment rehab clinic. Addiction Helper specialise in inpatient detox and rehabilitation; we devise bespoke treatment plans, based on the individual’s specific treatment requirements, circumstances and needs. We have access to over 100 UK addiction rehab centres and some elite treatment centres abroad also. By calling us you will receive a free, non-committal, comprehensive assessment, carried out by one of our highly trained and experienced addiction treatment experts. From there we can advise you on the best treatment options available to help you or your loved one find recovery from amphetamine addiction. The preferred treatment option for amphetamine addiction is inpatient detox and rehabilitation. The temptation is removed in a supportive, non-judgemental and recovery focused environment. Treatment for amphetamines addiction begins with a medical detox in a medically supervised environment. We cannot stress this enough. The withdrawal symptoms related to amphetamine addiction and abuse can be severe to the point of creating a dangerous and life threatening situation. Attempting to detox by oneself can result in serious injury or death. Undergoing a full detox under medical supervision offers the added benefit of prescription medications that can help relieve the withdrawal symptoms. Medically, it has been proven to be the safest way to withdraw from amphetamine addiction and dependency. Approved medications will be prescribed by our qualified and experienced rehab doctor to help patients better cope with the physical symptoms as well as any anxiety or depression. We will ensure the individual’s safety throughout this process with 24/7 care and support. Once detox is complete, usually about 7 to 10 days, the patient should immediately begin a full and comprehensive therapeutic rehab programme designed to teach them about their addiction and treat the underlying psychological issues that trigger addictive and compulsive, maladaptive behaviour. Our addiction rehabs also comprehensively treat dual diagnosis patients, those with more than one addiction and those with co-occurring illnesses such as Trauma, Depression, Anxiety Disorder, Eating Disorders, PTSD and Obsessive Compulsive Disorders. Holistic programme – including auricular acupuncture, mindfulness, meditation, yoga, Tai chi, art, music, massage. Holistic programmes vary depending on the rehab chosen. Before beginning rehab therapy, the amphetamine addict needs to understand that relapse rates for this particular class of drugs are extremely high, due to the nature of the illness and availability of the drug. Those who truly want to get well will have to commit themselves to treatment, give a 100% effort, and be dedicated to follow-up treatments and support once residential rehab has been completed. Addiction cannot be cured! However, with the correct treatment it can be successfully arrested and recovery maintained from there. Addiction Helper are committed to providing you and your family the help and support you need to overcome any kind addiction. If you are currently struggling with amphetamine addiction at any level, we would encourage you not to continue battling it alone and to seek help immediately. Addiction is a progressive illness and will only ever get worse over any given period of time. You or your loved one can get well; your family can get back to those days before drugs became a problem and we can help you to achieve this. The road to amphetamine addiction treatment begins by contacting the 24-hour Addiction Helper helpline. Our helpline is staffed by trained and experienced addiction experts, who use current medical standards to evaluate each and every client. By asking targeted questions and walking you through the basics of addiction, we can help you determine the severity of your problem and the various kinds of treatment that would work best for you. You will ultimately choose if, when, and where to seek treatment. We are here to assist you and guide you in this process. 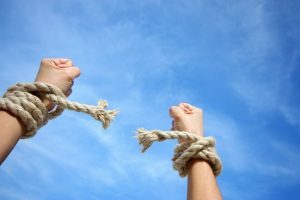 Freedom from amphetamine addiction is 100% achievable; call us now to find out more!